British guitarist and keyboardist. Born September 5, 1949, in Tamworth, Staffordshire, UK. His first professional group was Bakerloo. 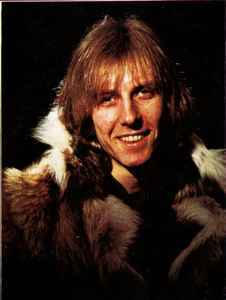 Subsequently he was a member of Colosseum, Humble Pie, Strange Brew, Steve Marriott’s All Stars, Rough Diamond, Champion, Snafu, as well as being a part of back-up bands for Roger Chapman, Cozy Powell, Ken Hensley, Jack Bruce, Jon Anderson and Bob Dylan.